There are two monuments in Virginia commemorating Taps. The first is the Taps Monument located at Berkeley Plantation in Charles City. The other is the Taps Window found at Fort Monroe located in Hampton, Virginia at Old Point Comfort, the southern tip of the Virginia Peninsula. 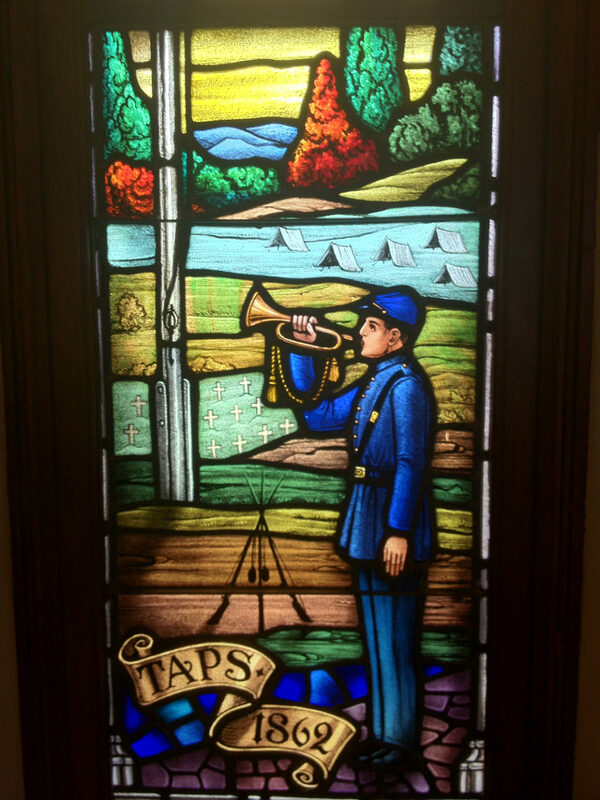 The Taps window is located in the Chapel of the Centurion at Fort Monroe, Virginia. 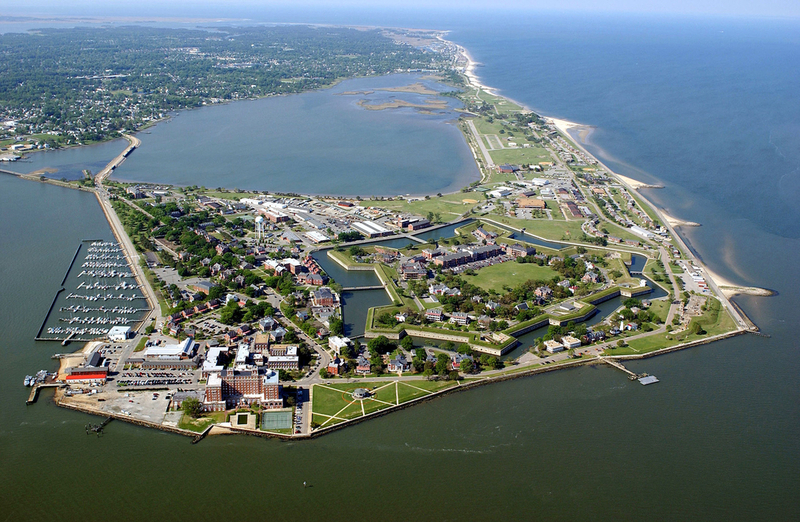 Fort Monroe was a US Army installation until 2011. Along with Fort Wool, Fort Monroe guarded the navigational channel between the Chesapeake Bay and Hampton Roads the natural roadstead at the confluence of the Elizabeth, the Nansemond and the James rivers. Surrounded by a moat, the seven-sided stone fort is the largest stone fort ever built in the United States. 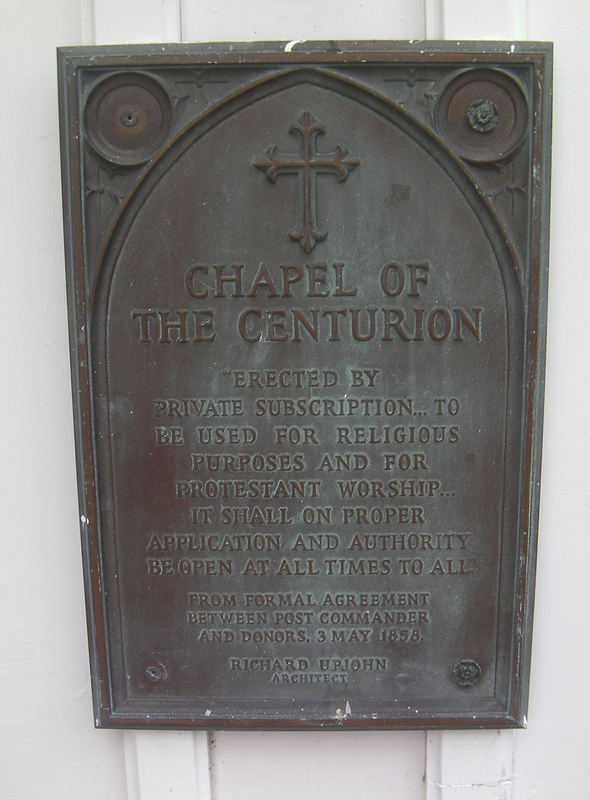 Built before the Civil War, it remained in Union control during the conflict. For two years after war, the former Confederate President, Jefferson Davis, was imprisoned at the fort. His first months of confinement were spent in a cell of the casemate fort walls that is now part of its Casemate Museum. In the 20th century, it housed the Coast Artillery School, and later the United States Army Training and Doctrine Command (TRADOC) until its decommission in 2011. 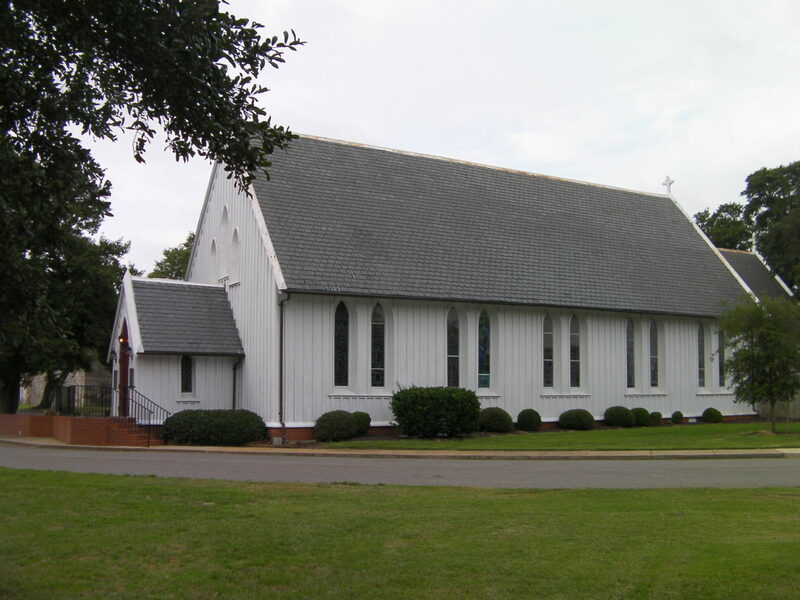 The Chapel was the Army’s oldest wooden structure in continuos use for religious services. It is named after the Roman Centurion, Cornelius, who was brought to Christianity by Peter. 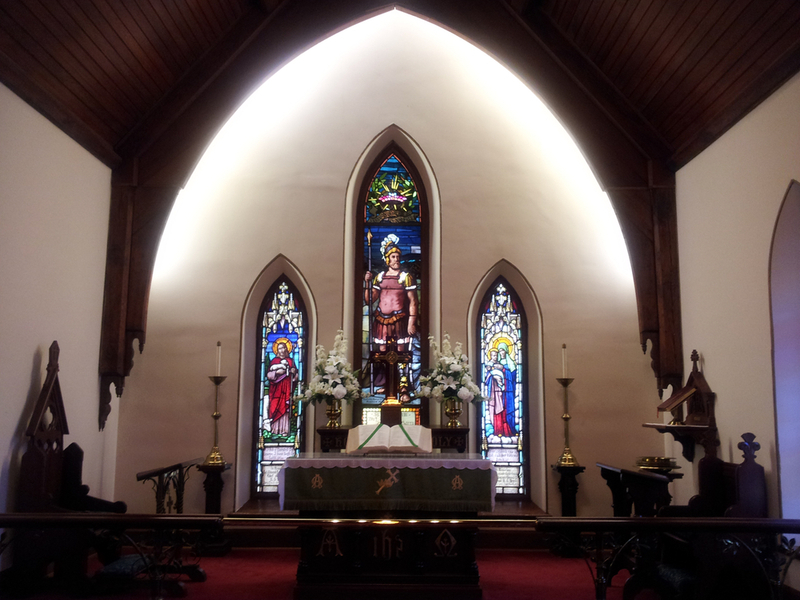 The chapel was built in 1858 and in 1875 stained glass windows were installed including some by Tiffany’s. 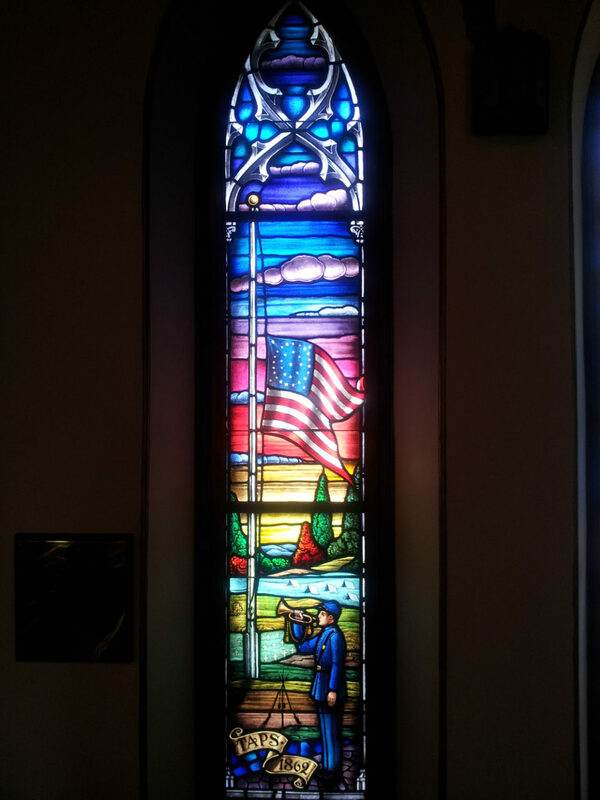 For the Centennial Celebration of the chapel, Colonel Eugene Jacobs, Commander of the US Army Hospital at Fort Monroe, designed this window to commemorate the first playing of “Taps” for the burial of a soldier at Harrison Landing (present site of Berkley Plantation near Williamsburg on the James River). The window was made by R. Geissler of New York. Jacobs contacted Miss Mabel Tidball of Charleston, SC to the celebration scheduled for May 3, 1958. She was the daughter of General John C. Tidball former commander of the fort and had been born there in 1875. Unable to attend due to her age, she requested that Taps be performed for those who had “passed on” during the past century. In correspondence with her, Jacobs discovered that her father, then a Captain, had been the first to use Taps at a military funeral. Brevet Brigadier General Daniel Butterfield, commanded the 3rd Brigade of Infantry, was an exponent of bugle calls. 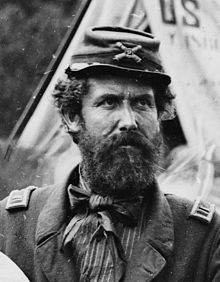 He was not satisfied with the final call of the day known as “Lights Out.” Around 4 July 1862 he called the brigade bugler, Oliver W. Norton, to his tent and showed him some notes he had written on the back of an envelope. After getting it properly arranged, Norton was directed to play it that night. Several days later a soldier died in Captain John C. Tidball’s Battery A. Rather than fire the customary three rifle volleys to honor the dead soldier, Captain Tidball instructed Oliver Norton to play “Taps.” The custom of playing “Taps” at a military funeral had begun in a unit of soldiers from this fort. The picture from which the window is crafted shows a drummer boy standing beside the bugler, the grandson of the drummer boy later purchased the Berkley Plantation. This entry was posted on Thursday, May 26th, 2016 at 11:18 am	and is filed under Bugle Stories, Buglers Through History, General Interest, History of Taps, History of the Bugle, News, Uncategorized. You can follow any responses to this entry through the RSS 2.0 feed. You can leave a response, or trackback from your own site.